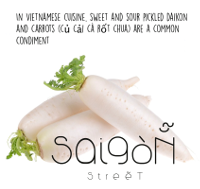 Saigon Street is a new dining concept in Bali bringing our customers the flavours, scents and freshness you will find in the streets of Vietnam. It’s thst good we made our way there from Nusa Dua in peak hour Friday traffic...just HO there please and enjoy cos we did!!! We had a wonderful experience! I had purchased a scoupon deal and well worth it! Food was amazing and staff were wonderful! Would recommend a visit! My partner and I loved the food it was so fresh, the service and staff were amazing. We will definitely be returning. Please just do yourself, your family, friends and loved ones a favour and take them to Saigon street. You won’t regret it!!!!! Lovely food and a nice looking restaurant. This venue took our Scoopon via their online booking service. We probably may not have gone there except for this, because we were located in Kuta with many other restaurants around. However we were extremely pleased to have done so with their good service and great food. It was worth the extra taxi fare and we splurged a bit on food because it was so nice. Cannot complain at all about Saigon. A thankyou to them. Have been coming to Bali for many years. 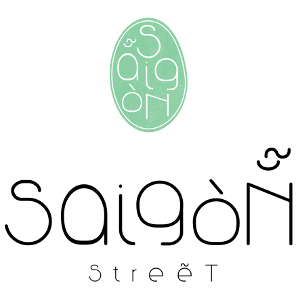 Dinned at many restaurants and can say Saigon Street is one of the best. On this trip we were in Bali for ten days. Ate at your restaurant on three occasions. Best food. Well done to the owners. Excellent business. Delicious food and great selection of cocktails! Would not miss Saigon Street whenever we are in Bali. It is always a wonderful experience. Just great food, great service, great staff and the cleanest toilets in Bali! Wonderful evening! Just had two weeks in Bali, love this restaurant. The food is fresh, delicious and beautifully presented. Best desert I have ever eaten with the meringue. Swift friendly service. Great food, casual dining and great prices. A fun and quirky place to drink and eat the night away. The best cocktail ever, cucumber and lemongrass vodka, I can't remember name... highly recommended! Great from at sensible prices spoiled on this occasion by a screaming brat. Always good at Saigon. Eaten there on numerous occasions and keep coming back!!! A fabulous night was had at Saigon. The cocktails were a hit and the food divine. Staff were extremely attentive even though it was a busy night. 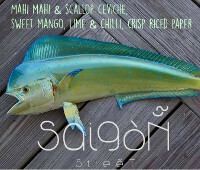 Thanks again Saigon for making it a wonderful experience to share with our guests from the US.